Parker hydraulic components in Corona CA deliver superior quality and performance in a well-made, brilliantly engineered package. As a leader in the hydraulics industry, Parker has been making innovative and durable parts for over 100 years. In our 30+ years of business, Bernell Hydraulics has consistently recommended Parker parts based on their proven merit. We’ve even become an authorized ParkerStore, so you can count on us to deliver authentic Parker components every time. The instant you discover that a hydraulic component needs replacing, call one of our field service specialists to come take a look. 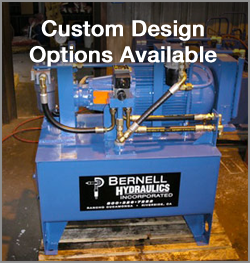 Even if you’re not exactly sure what the problem is, the skilled technicians from Bernell Hydraulics can help. We can examine the system, help you figure out the probable cause of the malfunction or failure, and then find you the necessary components for your repair job. We provide quick and effective hose replacements on site all the time, and we can also replace more complicated Parker hydraulic components in Corona CA.